Hand-selected products from our passionate producers, just for you. 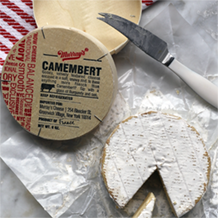 Our products have been hand-selected by America’s most trusted cheesemongers. Murray’s team of experts travel far and wide, to taste through countless items on the hunt for complex flavors that are exceptional enough to be included in our private line. As we fall in love with their delicious creations, we build relationships with the talented producers that we partner with. They trust our team to handle the extraordinary goods they work so hard on, as we bring them to households across America and honor their age-old production methods in the process. We pride ourselves in the curation of scrumptiously distinct, time-honored products made with the finest ingredients by the world’s best producers. 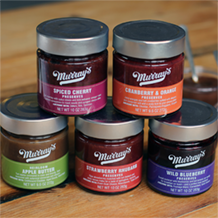 Murray’s has come a long way since our humble beginnings as a tiny corner grocery store in Greenwich Village, Manhattan and it’s an honor to work with world-class artisans who value quality, taste and tradition just as much as we do. It’s no secret that at Murrays we’re crazy about all the cheeses we carry, though no selection is finer than the assortment that has been hand-picked by our team of cheese experts for their quality and deliciousness. Only the best of the best, this international spread includes everything from time-tested classics to unique new creations. 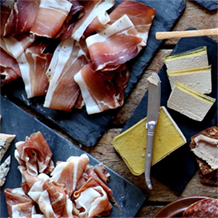 Shopping for cured meats doesn’t have to be difficult, especially when you’ve got the world’s best charcuterie specialists scouring the globe to bring you the finest cuts, cures and flavors out there. Click through to shop Murray’s Charcuterie and that’s exactly what you’ll find: world class meats, made easy. So you’ve assembled the perfect spread of cheeses and meats to dazzle your guests, but who says the deliciousness should end there? Serve your world-class eats with the highest quality provisions including jams, crackers, fruits & nuts, and more to create legendary pairings. Here, you’ll find the delicious finishing touches to that perfect cheese plate or gift you’re creating. What makes these cheeses so special? 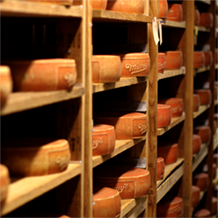 They are unique to Murray’s Cheese and some are aged in our New York Cheese Caves, where they are stored in temperature and humidity-controlled rooms so our Cavemaster can care for each cheese to bring out its ideal flavor and personality. 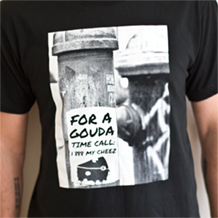 The result is a line of one of a kind cheeses, full of complex and unique flavors, all aged to perfection..
Let your cheesy flag fly for the whole world to see with this selection of adorable tees and gear designed for (and by) the truest of curd nerds. Not just a grate whey to wear your cheese-loving heart on your sleeve, this cool merch also makes great gifts for your cheesy friends. Warning: goofy cheese puns ahead.